I used to make mixtapes every December and send them out instead of Christmas cards. They started out as a way to share music with friends but eventually evolved into thematic things, where I would thread songs together to tell a story, usually the Christmas story. When tape-decks became a scarcity, I tried making the mixes on cd, but it didn’t work as well. It sounds silly, but I missed the control that cassettes gave me over the listening experience (people being much more likely to push the skip button on a cd player than mess with the fast-forward/rewind on a tape-deck). I also liked having two sides to play with. Anyway… how better to kick off this blog than with some Christmas playlists? And this time I’ll spare you the narrative pretensions. Enjoy! 1. Christmas Must Be Tonight – The Band. If I ever meet Robbie Robertson, I’m asking him about this song. It’s a complete anomaly in The Band’s catalog: a sincere attempt at a modern, sacred carol. Apparently he wrote it after the birth of his first son. 2. Merry Christmas (I Don’t Want To Fight Tonight) – The Ramones. The title says it all. 5. 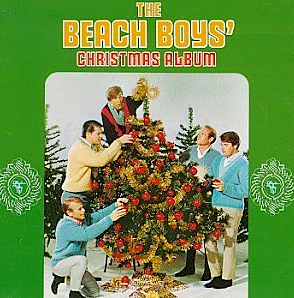 Christmas Day – The Beach Boys. A couple years ago, Brian Wilson put out a Christmas record and everyone was surprised by how much “sacred” material it contained. Not me! Even though this unreleased track was written by Mike Love (and therefore a bit of a put-0n), I still like to think it’s indicative of a deeper religious feeling in the group. 7. I Believe In Father Christmas – Emerson Lake and Palmer. I have no idea what Greg Lake is singing about, but the keyboards are magic! 8. 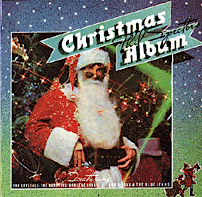 Christmas (Baby, Please Come Home) – Phil Spector/Darlene Love. He may be insane, but there is no denying that Phil Spector created the classic “Christmas sound” on this recording and the album it accompanied. Just listen to the sleighbells! Spector also had a hand in the third great parenthetically-titled seasonal classic, Lennon’s “Happy Xmas (War is Over)”. 9. [Bonus Xmas-Themed-But-Not-Titled Track] 2000 Miles – The Pretenders. Is there a better fade-in in all of rock n’ roll?! 4. It Came Upon A Midnight Clear – Brian Wilson. A truly ridiculous take on perhaps my favorite carol. 1. Winter Symphony – The Beach Boys. For a band associated so closely with summer, they sure produced their share of fantastic cold-weather music.